(NEW YORK, NY, September 14, 2018) — MoneyLion, America’s most powerful and rewarding financial membership, announces its partnership with one of the preeminent teams in one of America’s most thrilling sports: Team Penske in the NASCAR Xfinity Series. Roaring into the Las Vegas Motor Speedway on Saturday, Sept. 15, MoneyLion will serve as the primary sponsor of Team Penske’s No. 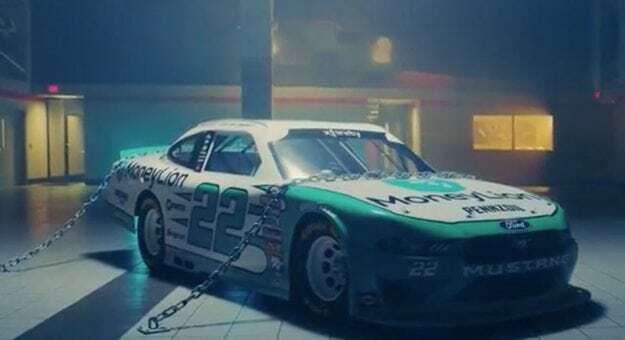 22 Ford Mustang, piloted by Austin Cindric, followed by three additional races through the remainder of the 2018 season. Team Penske’s No. 22 Xfinity Series team has won the Owners’ Championship in four of the last five seasons and currently sits first in the Owners’ Points standings with one race remaining before the start of the Xfinity Series playoffs. The team has earned six victories and six poles in 2018 with drivers Joey Logano, Brad Keselowski, Ryan Blaney and Cindric. Watch for more MoneyLion action in NASCAR’s XFINITY series in 2018, and follow the excitement via MoneyLion on Instagram, Facebook, Twitter and YouTube. To learn more about MoneyLion, please visit: www.moneylion.com.